Legacy Oaks is located about two miles from Western Oregon University. Units feature large open floor plans, full-size washers & dryers, private decks/patios and detached garages. Property amenities include a clubhouse and 24-hour fitness center. 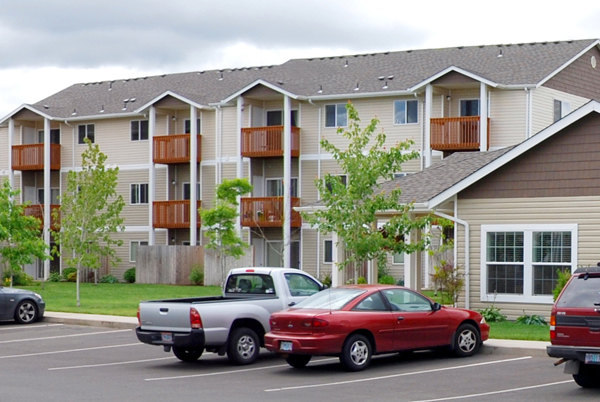 Legacy Oaks is large property located in a tertiary market of the Willamette Valley. HFO's knowledge of the market assisted the buyer in seeing beyond the perceived negatives to realize its true value. Through HFO's extensive relationships with both national and local investors, HFO was able to directly contact buyers actively looking to expand their portfolio in Oregon. The property was ultimately sold to a Portland-based investor group.